A complete step-by-step build up of a low cost chassis and car for the pro stock/sportsman rules. Uses a 1970-81 stock Camaro front stub with a fabricated perimeter frame. 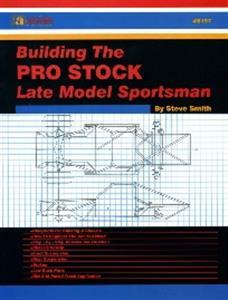 Steve Smith designed the chassis and furnishes blueprints in the book for building it. He discusses at every step the reason for component choice and how suspension theory was put into practice. Full of helpful tips and professional tricks.